Sleep in the heart of Old Montreal... for only $20 +tx per night! En plein coeur du quartier historique... à partir de 20$ +tx par nuit! Besoin d'intimité? Réservez nos chambres privées! Need some privacy? Book our private rooms! Prenez place dans notre salle commune spacieuse et équipée! Sit back and relax in our spacious and fully equipped common area! Vous faites une virée montréalaise à 4? Pas de problème! Our private rooms can accomodate up to 4 guests! Savourez des produits bio et équitables... gratuitement! 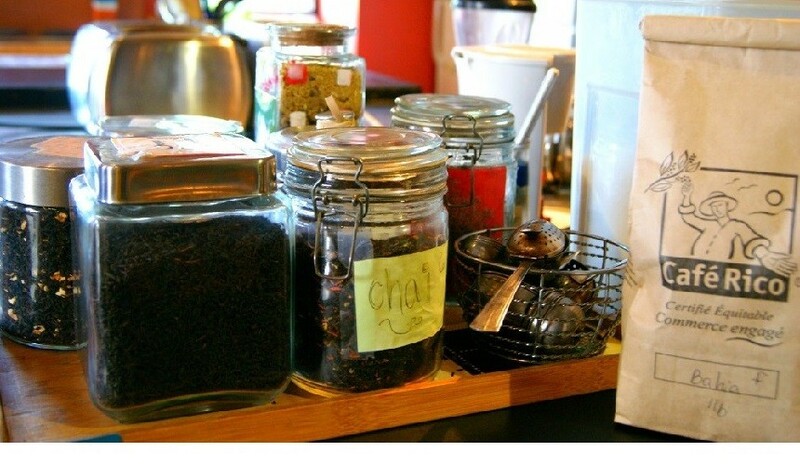 Try our local organic and fair trade products... for free! “Comfy, Cosy & Eco-friendly” since 1996! 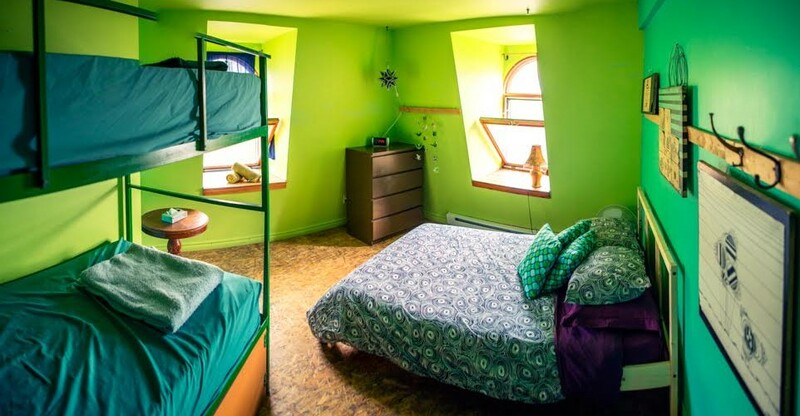 By choosing our hostel, you will be staying in the heart of the historic centre of Montreal and a few steps away from major attractions, such as the downtown area, Chinatown and Mont-Royal! You will also be resting in an eco-artistic hostel that was once an old warehouse that has been restored and renovated with style over the years. The distinctive character of the old city buildings with their stone walls, old hardwood floors, arched windows and high ceilings will definitely charm you! With an urban, modern look that is both typical of the building’s construction era, the Alternative Hostel of Old Montreal offers a vibrant atmosphere and a warm and inviting atmosphere. Everyone feels at home at our hostel, and so will you!